VISITING ARTIST—Tonight we welcome Portland documentary filmmaker Irene Taylor Brodsky (HEAR AND NOW) for a screening of her beautiful and informative new film, one of this year’s nominees for the Academy Award for Short Documentary. Nearly 50 years after a vaccine for polio was developed in the United States, the polio virus still finds refuge in some of the world's most vulnerable places. In India and Afghanistan’s impoverished neighborhoods, THE FINAL INCH follows the massive—and yet highly personalized—mission to eradicate polio from the planet. 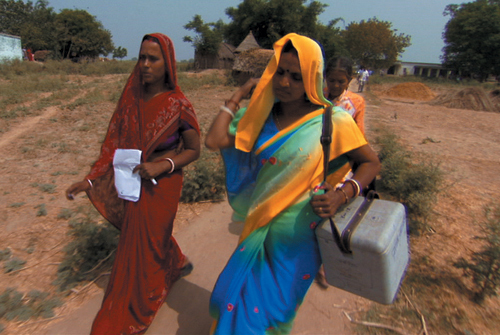 The film challenges our most basic assumptions about disease, poverty, and our own health as a human right. Brodsky will introduce and talk about her film. Each year the Northwest Film Center conducts the jurying for the Western States entries to the annual Academy of Motion Picture Arts and Sciences® Student Academy Awards. Students from accredited colleges, universities and art schools in Alaska, California, Hawaii, Idaho, Montana, Nevada, Oregon, Washington, and Wyoming vie for a regional award this evening, which will secure a spot in the national competition in Los Angeles judged by Academy members. Assess for yourself the top animated, narrative, documentary, and alternative films—the latest from some of the top film schools and talents in the nation—as a panel of distinguished judges in our audience picks the winners. VISITING ARTIST—David Russo (POPULI, PAN WITH US, I’M NOT VAN GOGH) is the winner of multiple Northwest Film & Video Festival awards. His first feature film introduces Dory, a white-collar worker who loses his job and finds work as a night janitor at a market research firm. He soon discovers that he and his motley coworkers are the subjects of clandestine experiments. “A character-driven comedy enriched with Russo’s innovative animation, LITTLE DIZZLE is a lighthearted film with a liberated vision—the idea that you may find peace in the face of uncertainty if you simply accept the very things that are beyond your control.”—Sundance Film Festival. The Film Center throws open the doors of the Whitsell Auditorium and invites you to show your new short work. Follow in the footsteps of Jamie Marie Waelchli, whose LITTLE PLEASURES screened last year and was selected for the Northwest Film & Video Festival and this year’s Portland International Film Festival. If you have something you're proud of, sign up by contacting Thomas Phillipson by April 24 at thomas@nwfilm.org. First come first served as time allows. VISITING ARTISTS—With deceptive ease, the late Oregon Poet Laureate William Stafford (1925-1989) offered us profound truths. Stafford was a conscientious objector during World War II, a courageous act during a time of overwhelming national unity. Stafford kept a journal for decades, reflecting throughout on an essential question: Does war make us safe? Tonight's program features several works that reveal Stafford's timeless voice and vision. Tom Chamberlin's AN OREGON MESSAGE (1976) broadly sets Stafford and his poems against the Oregon landscape (27 mins. ); an excerpt from THE SKOOKUM'S TONGUE (1983), a cable program directed by Patrick Rosencrantz, features an interview between Stafford and poet Tim Barnes (8 mins. ); and Hadyn Reiss' new film EVERY WAR HAS TWO LOSERS (2009), drawing directly on Stafford's journals, features Peter Coyote as the voice of the poet, along with the passionate peace poems of Naomi Shihab Nye, Alice Walker, W.S. Merwin, Maxine Hong, and Robert Bly (30 mins.). Hadyn Reiss and Tom Chamberlin will introduce their films. Presented in conjunction with the "William Stafford Peace Symposium: Another World Instead," May 14­-16 at the First Unitarian Church. www.ochcom.org. VISITING ARTIST—British Columbia filmmaker Daniel Conrad’s internationally recognized works have brought new appreciation to the often-misunderstood genre of dance film. His films are choreographed for the camera in ways that could never exist on stage (or in life), using exotic locations, camera manipulations, and smooth but unpredictable montage editing techniques. Tonight, with the director in attendance to introduce his films, we screen SECOND NATURE (1993), a duet of four bodies utilizing superimpositions; SUBWAYS: 5 VARIATIONS ON THE THEME BY RILKE (2001), an exploration of boundaries filmed in the subways of Prague; 7 UNIVERSAL SOLVENTS (2004), in which human transformation occurs across the solvents of water, fire, tigers, children, alcohol, paint, and air; AFTERNOON OF THE CHIMERAS (2006), filmed in a wilderness landscape, forcing the dancers to invent original ways of moving; and ABOARD THE PATER NOSTER (2008) —winner of a Judge's Award at last year's Northwest Film & Video Festival—in which cycles of life are played out on a doorless elevator. 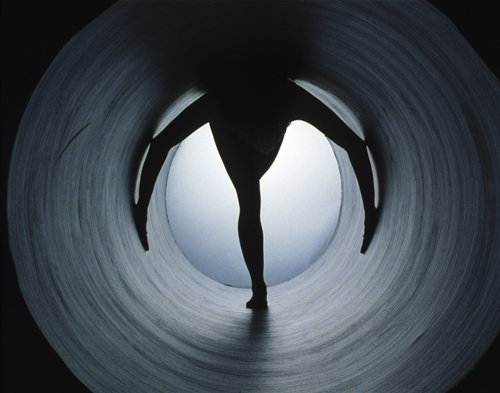 Conrad’s workshop for filmmakers and dancers, “Bodies in Motion, Bodies At Rest,” is May 14-17. VISITING ARTISTS—The Native Truth Film Project, a collaboration between the Film Center's Young Filmmakers Program and the Northwest Portland Area Indian Health Board (NPAIHB), was created to empower American Indian youth to address a significant health problem in their communities: cigarette smoking among American Indian youth and adults is much more prevalent than in the general population. Through the project, mentored by leaders in their communities and filmmakers Brian Lindstrom and Sue Arbuthnot, 15 young adults from Yakama Nation, Spokane Tribes, and Shoshone-Bannock Tribes have created peer-to-peer prevention videos for broad distribution to NPAIHB's 43 member tribes and beyond. With the filmmakers in attendance, we premiere their documentaries and public service announcements, and witness the potential of young people to be empowered by and empower others through film. A reception at 4 p.m. in the Stevens Room precedes the screening. Ever since a childhood train accident, inventor George T. Edison (Powers Boothe) can only hear through his teeth, and now he has literally electrified his son Leo (Gregory Smith) in a careless laboratory mishap, rendering the poor chap—again, literally—untouchable. “Using dynamic stop-motion animation, director Neil Burns and a team of animators have crafted a noirish, gothic fairy tale based on a story by George Toles, Guy Maddin's long-time screenwriting partner. It comes replete with Oedipal revenge, mysterious First Nations tribes, and a robotic dog named Pickle. The sinister, striking landscape is matched by stunning character designs. EDISON & LEO never fails to surprise, and at times its realism is unnerving.”—Toronto Film Festival. Created by West Sylvan Middle School teacher Matt Gilley and Jackson Middle School teacher Peter Walker, the PPSFF showcases media projects produced by K-12 students from throughout the entire Portland Public Schools district. All were created within the school day with the support of PPS teachers in fulfillment of district learning goals in technology and/or the regular academic curriculum. Join us in honoring the focus and inspiration that has made these achievements possible, and celebrate the PPS community that is using media to animate the classroom. A reception in Stevens Room follows Festival screening. VISITING ARTISTS—Last November’s 35th Northwest Film & Video Festival showcased the best recent work made by filmmakers in the Northwest. This touring program—screening this year at film venues throughout the Northwest—is both inspiring and entertaining as it celebrates the great talent at work in the region. The films include CAREER OPPORTUNITIES IN POETRY, by Andrew Smith and Courtney Saunders, Missoula; NOVEMBER'S LIGHT, by Cheryl Lohrmann, Portland; PORTRAIT OF A WOMAN 1947-2007, by Margot Quan Knight, Seattle; WE THREE, by Laura di Trapani, Portland; SMILE, by Julia Kwan, Vancouver, BC; TO REMEMBER THAT OUR SKIES ARE THE SAME SKIES, by Chris Lael Larson, Portland; THE PULL, by Andrew Blubaugh, Portland; COOKIES FOR SALE, by Wes Kim, Seattle; THREE STORIES IN WOOD, by Lara Gallagher and Andrew Ellmaker, Portland; NICKEL AND DIMIN’ IT WITH BUDDY, by Tomas Soderberg, Portland; HIRSUTE, by A.J. Bond, Vancouver, BC; and WIND, by Chel White, Portland. VISITING ARTISTS—In the spring of 2004, Maria, a Greek Cypriot, and Zehra, a Turkish Cypriot, cross to opposite sides of the green line, which has divided Cyprus since the war of 1974, to visit family homes they have not seen for thirty years. Thus begins the personal journey of these women haunted by war and pain, but searching for reconciliation and common ground. On the eve of the U.N. referendum to reunite the divided island, many buried stories from the past emerge. With rare archival footage adding context to the Cypriot conflict, Katrivanou and Azzouz focus on women coming together to share their fears and mistrust, as well as their hopes for healing a tragic divide. POST-FILM DISCUSSION WITH DIRECTORS KATRIVANOU, AZZOUZ, AND DR. HARRY ANASTAIOU FROM PORTLAND STATE UNIVERSITY'S CONFLICT RESOLUTION DEPARTMENT. COSPONSORED BY PSU AND THE WORK PROCESS INSTITUTE.